Details: 3BR, 2BA Unit with1500+ sq. ft.
Perdido Key condo for sale at Lost Key Plantation . This is undoubtedly the best condo offering in the entire Lost Key complex AND it comes with a DEDICATED GARAGE PARKING SPOT! 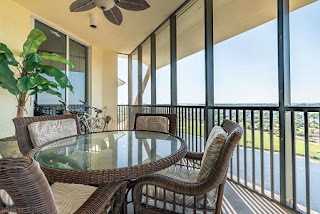 Situated perfectly on the top floor in San Anton, the panoramic views are simply amazing from this premier corner unit. Some interior upgrades not to be missed: custom-built Master closet with lockable cabinets for valuables, new Tempurpedic mattress in the Master Bedroom, brand new twin mattresses in guest bedroom, queen sleeper sofa in the living area. The Lost Key Golf Club features an 18-hole Arnold Palmer designed golf course, complete with Clubhouse, pro shop & restaurant. From your condo, you are steps away. There is a pool private to the San Anton building and dedicated owner storage in the garage. Additional amenities of the complex include fitness room, tennis courts & walking paths. With the brand new Lost Key BEACH CLUB now open on Perdido Key, residents of Lost Key now have direct access to the beach and can truly enjoy ALL aspects of resort style living - it doesn’t get much better than this!